Some capital assets can be depreciated for tax purposes, allowing you to divide up and spread out the cost of an asset over several years and take a tax deduction for the cost in each of those years. As a result, depreciation reduces the asset's adjusted cost basis. If the asset were subsequently sold, any gain you realize on the sale will be more because the asset's basis becomes lower through depreciation. How the gain is treated depends on the type of asset in question. The technical term for a gain related to depreciation on residential property is “unrecaptured section 1250 gain.” As you might imagine, the IRS doesn't like to let anything remain "unrecaptured." Now here's some good news. Any passive activity losses that were not deductible in previous years now become fully deductible when a rental property is sold. This can help offset the tax bite of the depreciation recapture tax. A rental property can also be sold as part of a like-kind exchange to defer both capital gains and depreciation recapture taxes. This involves disposing of an asset and immediate acquiring another similar asset, effectively deferring taxes until a later point in time when a sale is not followed by an acquisition. 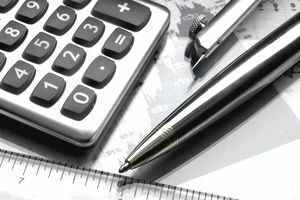 It might seem reasonable that you could avoid claiming depreciation as a strategy to avoid the recapture tax hit because it must be recaptured when the asset is sold. This strategy doesn’t work because tax law requires that recapture be calculated on depreciation that was "allowed or allowable," according to Internal Revenue Code section 1250(b)(3). In other words, you were entitled to claim depreciation even if you didn’t, so the IRS treats the situation as though you had. From a tax-planning perspective, taxpayers should generally claim depreciation on the property to get the currently associated tax deduction because they’ll have to pay tax on the gain due to the depreciation anyway when they eventually sell. How Do You Report Interest Income on Taxes?